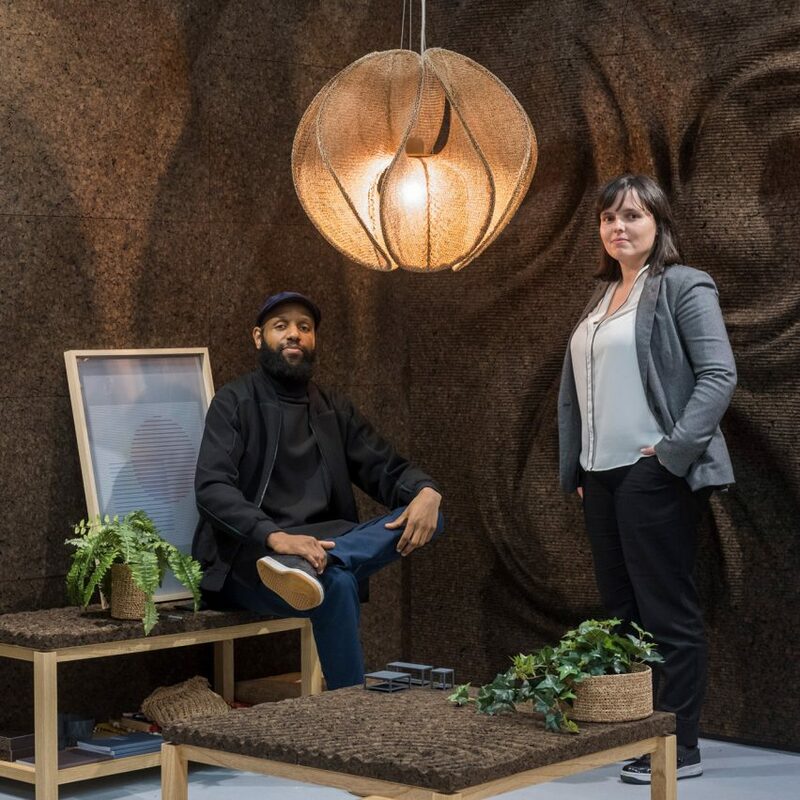 Portuguese studio Digitalab has won the rising star award at Stockholm Furniture Fair, with an innovative method of turning cork into thread. 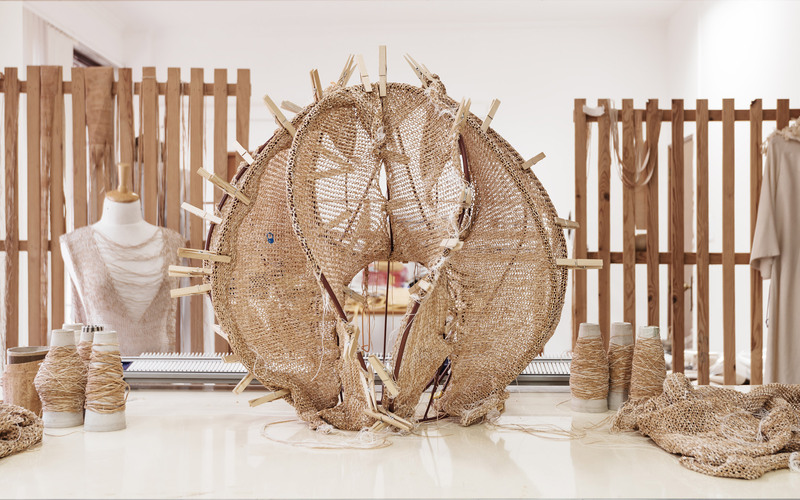 Architects Brimet Silva and Ana Fonseca of Digitalab have together developed a method of turning cork into a thin thread that can be used in the manufacture of furniture, lighting, textiles and accessories. 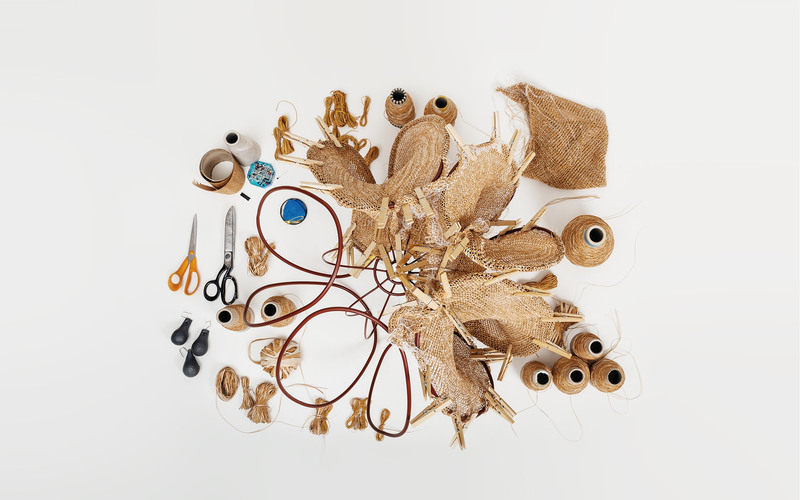 Called CO-RK, the thread offers a sustainable, non-fibrous alternative to materials like plastic. “The winner exhibited creative exploration of an underused natural material,” they said. Silva and Fonseca created the product for Gencork, an offshoot of 50-year-old Portuguese company Sofalca, which manufactures cork pellets using the branches of cork trees. This process is more sustainable than the typical manufacture of cork, which comes from tree bark. The thread is formed by injecting water vapour through these cork pellets. This causes the pellets to expand, whilst the water bonds with the resin in the cork. The mixture is then pressed and combined with a base layer of cotton fabric to produce a thin sheet that can be cut to a millimetre thick. The resulting threads are then washed to increase their flexibility and elasticity. “It’s a robust and comfortable material, resistant to light traction and it’s also washable, keeping all the original physical properties of cork,” Silva told Dezeen. The robust fibres can be woven into “complex generative forms” or mesh-like structures using an algorithm based on mathematical formulas. 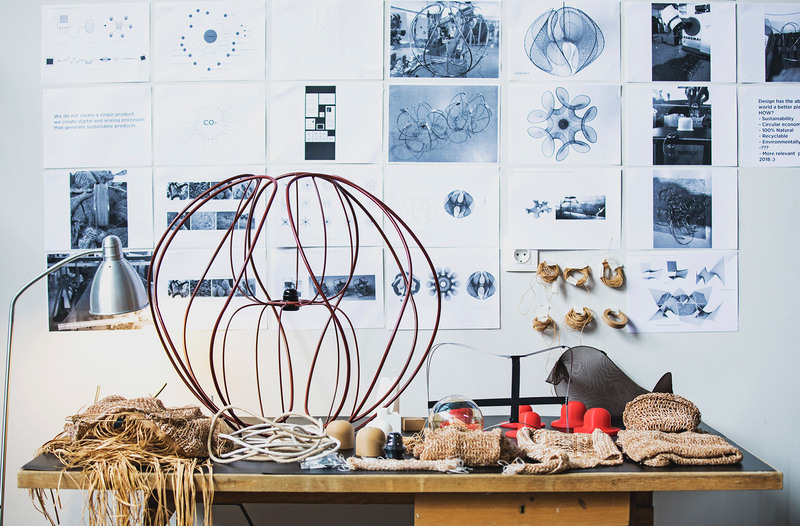 “It is a high-tech and low-tech approach where craftsman practices are mixed in with technological processes,” said Silva. “The aim was to develop and manipulate different mesh densities to apply to different scales and functions according to the product. For example, we are exploring higher densities that are strong enough to apply to seating solutions and space dividers, among other applications,” he explained. 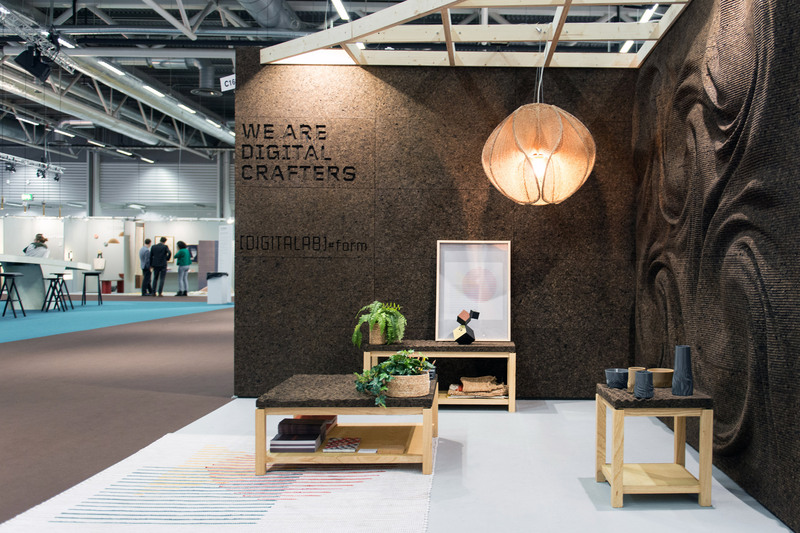 Digitalab showed the products at Stockholm Furniture Fair between 5 and 9 February. Pieces from the collection were displayed on a stand clad in the brand’s flexible cork wall-cladding in geometric and swirling patterns, an application made possible by applying algorithmic processes to the CO-RK thread. The wall-covering functions as a thermal and acoustic insulator while preventing sound or music-induced vibrations. 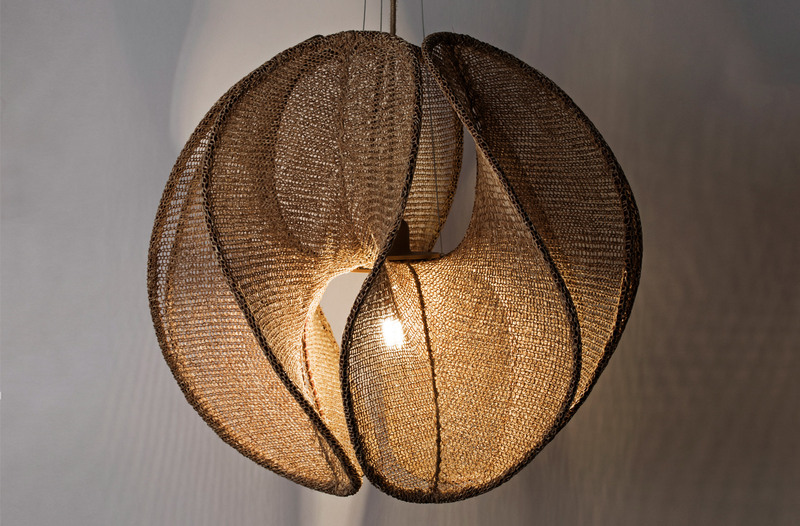 “The 100 per cent natural and sustainable expanded-cork agglomerate is transformed through generative design algorithms and advanced digital fabrication processes, expressing a new formal aesthetic,” said Silva. “This creative and disruptive system not only optimises cork’s thermal and acoustic properties but also adds artistic value to traditional walls,” he continued. The annual Editor’s Choice awards at Stockholm Furniture Fair are judged by a selection of editors from international design magazines. The judges this year were Marcus Fairs of Dezeen, Costas Voyatzis of Greek website Yatzer, Dana Tomic Hughes of Australian site Yellowtrace, and Beryl Hsu of Chinese magazine IDEAT. The best product award went to the entire collection of furniture and fittings commissioned from various designers for the re-opening of Stockholm’s Nationalmuseum. The best stand award was given to acoustic products brand Baux for a cube clad inside and out with its latest biodegradable acoustic panels, called Baux Acoustic Pulp. Concerns about noise, lack of privacy and unhealthy working practices fuelled a rise in products aimed at improving wellbeing in the office at this year’s Stockholm fair. Meanwhile, cork is increasingly being used as an architectural material. Dezeen recently highlighted seven projects that use the versatile material as cladding. 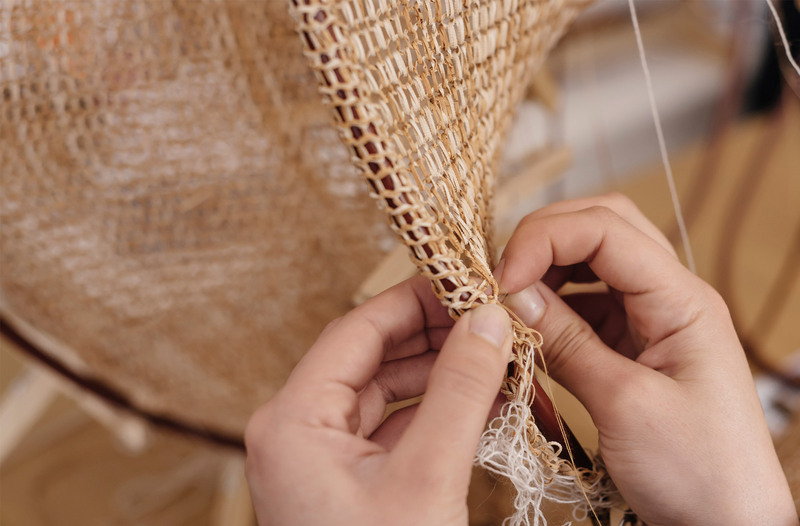 The post Digitalab turns cork into thread for sustainable furniture and lighting appeared first on Dezeen.